TRID changed the loan process on October 1st. Today, we discuss some commonly asked questions about this new law. What is TRID? TRID replaces the Good Faith Estimate and Settlement Statement. Now, we have a loan estimate earlier in the transaction and a closing disclosure towards the end. How does the loan estimate compare to the Good Faith Estimate? A loan estimate now is significantly more accurate. Previously, it was more of an educated guess instead of an accurate statement. We’re required to verify information ahead of time now. There isn’t any tolerance for additional lender fees, credit report fees, or attorney fees. A loan estimate provides associated fees such as the interest rate, annual percentage rate, and attorney fee in addition to how much cash the buyer should bring to closing. What are the new guidelines of TRID? The closing disclosure is better compared to the settlement statement. This document must be presented to the buyer three business days prior to closing. If a buyer doesn’t agree to sign this document, it could lengthen the process. However, every party should be proactive towards the transaction's conditions to avoid last-minute disagreements. What will sellers no longer know? Now, sellers won’t know the buyer’s interest rate, how much they put down, what kind of loan they get, and similar information unless stated in a contract. If you have any questions about TRID, please give us a call at (678) 428-5841 or shoot us an email at Lorie@HomeByLorie.com! We’re always here to help with your real estate needs. Listen to what Alysia was impressed with while working with us! Tell me about your experience working with Lorie Gould. "My husband and I were very pleased with the service of Lorie and her entire team. The follow up was outstanding. We had a long initial meeting. She told us all of the pros and cons about the neighborhood, the market at the time. It was a very scientific approach, and we thought it was very well researched. What she recommended worked. Our situation with our home is we were in a very nice North Fulton neighborhood in the most desirable school district, and our house had been on the market for quite some time. We had a sloped driveway and if anybody knows anything about North Fulton, you either have a steep front yard or a steep backyard. It's very hilly. Her marketing approach and how she communicated the positives about our house really made a difference. Plus we had it priced correctly. I think for my husband and I the thing that really sets Lorie apart is that she was able to use very scientific information about the market trends and the competition in our particular price range. It was helpful to us because prior to dealing with Lorie, we felt like what we were getting was just a bunch of opinions. She had a very thorough professional opinion, but she also backed it up with facts. That was helpful for us." Today, Cal Couch from Trademark Pest Control and Home Inspection joins us to discuss preparing your home to sell for top dollar. We’ll answer the following question: how can I compete against the competition to reach a buyer? Sellers can maximize the potential of their listing by hiring an inspector ahead of time. Inspectors commonly find ceiling stains, active termites, or even defective roof shingles. All of these things could be found before putting the home on the market. If repairs and other issues are taken care of ahead of time, they reduce the negotiation period and help maximize your home's value. Having your property pre-inspected and adding a termite bond will make buyers feel more confident from the beginning! A pre-inspection doesn't have to be expensive. At Trademark, we have two different types of inspections. We offer a full inspection and also a bird’s eye inspection. The bird’s eye inspection costs half the price of a full one! Even if you don’t want to spend that money, you can do some simple things yourself. Make sure all major appliances and HVAC systems function properly. Look for stains in the ceiling and address them right away. Don’t make the mistake of painting a single spot on the ceiling, either; it’s important to paint the entire ceiling. These minor steps can save you a lot of trouble down the road. If you’re looking to get an inspection, you can visit Trademark’s website at www.trademarkps.com or call 770-614-6534. We look forward to hearing from you soon! "Good results. When we needed to get all the due diligence done, she helped me go and find some resources to get everything done. When I go to sell my house, I'll be using her. I'm pretty satisfied with her and the way they work. They call you right back when you call. I think it was great service." Metro Atlanta Real Estate Agent: Why Are First-Time Buyers Waiting Longer? One thing we know for certain about the real estate market is that it is never going to stay the same for long. Today we want to talk about an interesting trend we’ve noticed in real estate: millennials are waiting longer to purchase their first homes than their parents did. The typical first-time buyer now rents for an average of 6 years before buying a home, which is up from 2.6 years in the early 1970’s, according to Zillow. We came across a great video on the topic from CNBC. Here are our three biggest takeaways from the video. Renters in today’s market are struggling to save for down payments and qualify for mortgages. Most first-time buyers still depend on personal savings for at least some of their down payments, but rising rental prices have complicated the task of socking away money for a down payment. Rental rates are causing 46% of renters aged 25-34, to spend more than 40% of their incomes on rent, up from 30% a decade earlier. The Money Source, a mortgage lender, examined applications from 5,404 millennial buyers and found that these buyers averaged nearly 4.5 years in their field of work and had held their current job for slightly more than three years. Those figures point to how critical career stability is to a younger generation. Thanks for joining me today. If you have any questions for us, feel free to give us a call at (678) 428-5841 or send us an email at Lorie@HomeByLorie.com. Talk to you soon! "I was very impressed with the advertising, the professional pictures, the video. In fact the buyers at the closing table made a comment of how well it was done. When they found the house, they were forwarding it to family members to give them their opinion. I think that really helped as far as for the buyers and I think other people too. I looked at it myself, and I was very impressed. I guess most of all, I was impressed with the administrative assistant, Taylor, she was wonderful." I recently found a good video on HGTV that I thought would be helpful to you if you're preparing to sell your home. It's essential that when you show your home to buyers, it's clean, organized, and decluttered. You'll want to empty out your closets, or at the very least, get them organized. One thing you can do to get organized is put up shoe hangers in your doors, and store everyday items inside them such as cleaning supplies, utensils, or anything else that you can fit in them. Another way to cut down on clutter is to use labels, or pick up storage bins to keep items like cords or wires in. A tip for organizing your closet is to divide your clothes into four different sections: hang, sell, donate, keep, and fold. Once you have something marked out for every category, you can then organize your closet in any way you see fit. Here's an extra tip: you can use belt hangers to hang your necklaces and other jewelry. I just thought this video would be useful for organizing your home, whether you're selling or if you just want to tidy up a bit. If you need any assistance with staging, decluttering, or selling, please don't hesitate to contact me! When Are Rates Going to Rise? Hey there everybody, thanks for joining us. We are excited to be joined today by John Ragland Jr. with the Supreme Team at Supreme Lending. He is going to give us the ins and outs of interest rates right now in Atlanta. There has been a lot of talk lately about the month of September, which is when it is anticipated that the Fed will raise the federal funds rate. That won't necessarily impact rates directly, but as the economy and investors see the rate increasing, it will cause home loan rates to move up. Between now and September, rates will be moving up, we just aren't sure when. For every 1% increase in rates, your affordability drops 10%. That's a huge drop in buying power for just a normal rate hike. 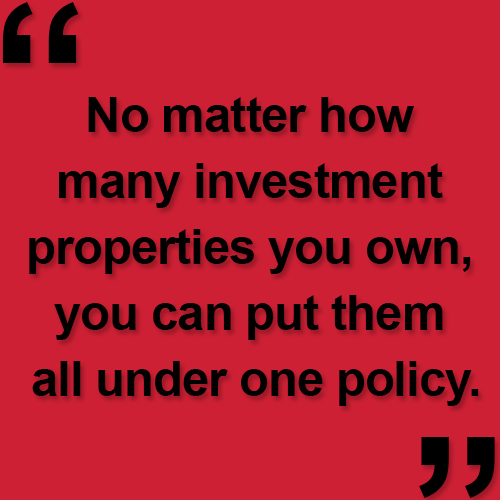 While there is much uncertainty surrounding interest rates, we do know one thing for sure. Rates are incredibly low right now and inventory is solid, so it's a great time to buy as well. Rates can't stay this low if our economy is to remain balanced, and they are going to move up soon, probably this year. If you have any questions for us, feel free to give us a call or send us an email. We look forward to speaking with you! How Does American Family Insurance Take Better Care of You? We are back once again with one of our preferred insurance agents, Lindsey Metzger with American Family Insurance to talk some more about how she can give you some of the best services, and rates, in the business. With the seasons changing comes the threat of damage to your home and vehicle. Tornadoes, hail, and thunderstorms are going to come and there is not much you can do to stop them. However, you can be prepared with the right coverage so that if a claim needs to be made, the process can be handled perfectly for you. When somebody has damage done to their car or property, the first thing they should do is make a call. If you have a policy with a large insurance agency, you will likely need to call a 1-800 number. The problem with doing this is that once you dial that number, they will mark down that you filed a claim, even though they may not end up filing your claim. If you have Lindsey and her team on your side, they will take care of you personally. When you give her a call, she will send someone out to look at your damage first before filing a claim. There's no point in putting a claim in if it won't be covered. Lindsey can help with all types of insurance. The ones she specializes in are home, renters, auto, life, and commercial insurance. They are one of the top rated companies for claims and customer services. If you'd like to reach Lindsey give her a call at (470) 202-7315. If you have any questions for us, feel free to give us a call at (678) 428-5841 or send us an email at Lorie@HomeByLorie.com. Talk to you soon! How Can You Improve Your Insurance Coverage? Hey there everyone, welcome back. Today we are here with Lindsey Metzger, one of our preferred insurance providers, to talk a little bit about herself and how she works with us to get you the best insurance coverage possible. Lindsey works for American Family Insurance, and she can help you with all of your home, auto, and life insurance policies. She also sells both commercial and investment property insurance. What makes Lindsey and her team different from the rest is that with them, you have an actual agent assigned to your account, not just a 1-800 number. They will walk you through the entire claims process and treat you as they would like to be treated as customers. If you are an investor, Lindsey, and her team offer a special bonus. 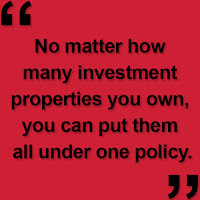 No matter how many investment properties you own, you can put them all under one policy. So if something happens to one of your properties, you won't have to pay 5 deductibles like you do with some companies. American Family Insurance only requires you to pay one deductible if all of your properties are all under the same policy. Lindsey gives outstanding service, and we love doing business with her. If you'd like to reach her, give her a call at (470) 202-7315. If you have any questions for us, feel free to give us a call at (678) 428-5841 or send us an email at Lorie@HomesByLorie.com. Talk to you soon! What Impacts Your Insurance Rates When You Purchase in Atlanta? Today we have Alex Knapp with us from The Rhoads Group to discuss how insurance rates are determined when buying a new home. This is great information for those looking to sell their home. Alex will be discussing a few different things that can affect your insurance rates for buyers. FICO Score: This is your insurance score, and this has the most impact on what your premium will be. 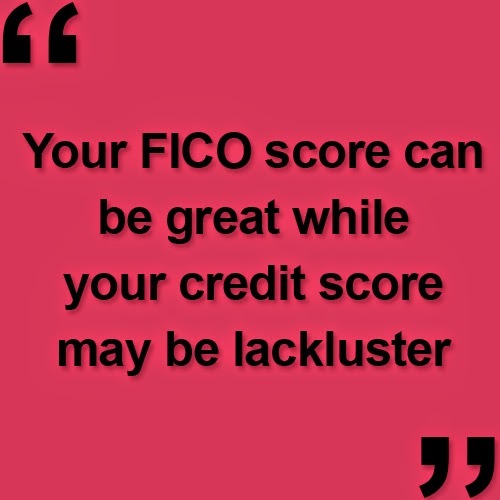 This is not the same as your credit score, and your FICO score can be great while your credit score may be lackluster. There are many other things that can affect your insurance rate, and one of them that nobody thinks about is the age of the roof on a home you currently live in or one that you plan on living in. Your claims history can also be a big factor in determining your insurance rate. If you have an extensive history of loss, you may be dealt a pretty high rate. Be aware that Atlas Chalet shingles have been recalled and that this could significantly affect your FICO score if they were used to build your roof. Most insurance companies will not insure you if you're buying a home with these shingles. Chalet shingles impact both sellers and buyers- it is important to know your options, more importantly, to have proper representation to protect your wallet. If you would like to contact Alex, he can be reached most easily at (678) 697-1908. We highly recommend Alex because he provides great customer service and he's dedicated to helping his clients. As always, if you're looking to buy, sell, or invest in Atlanta real estate, please don't hesitate to give me a call at 678-428-5841. How Can You Avoid Unnecessary Expenses on Your Atlanta Home? Hey everyone, today we are excited to be joined once again by our favorite insurance provider, Alex Knapp. We are going to talk a little bit today about some preventative measures that you can take in the springtime to avoid unnecessary insurance-related expenses. There are plenty of preventative measures you can take right now to ensure your home will be functioning properly as we head into the warmer months. One important thing to do is get your gutters cleaned out, so the water on your roof drains properly. You also want to trim off any tree limbs that are close to your home to avoid storm damage, and keep your bushes and shrubs trimmed up and away from your home. You'll want a little buffer between the shrubs and the house to prevent water and pest damage. 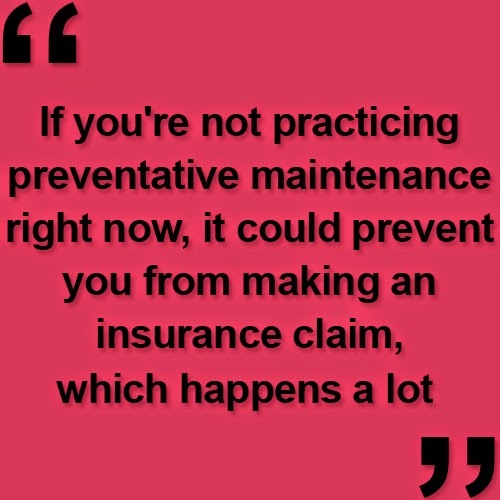 If you're not practicing preventative maintenance right now, it could prevent you from making an insurance claim, which happens a lot. For example, if you have a squirrel or raccoon that gets into your attic from a nearby tree, any damage caused by the animal is not covered under your homeowners insurance policy. This is why it's so important to have someone who understands your policy and lets you know what you are personally responsible for. If you have a bit of an older roof, you may want to have a contractor come out and make sure you don't have any leaks or holes in your roof. Sometimes as roofs age and heat up in the summer, the nails pop out of the shingles. It's a preventative measure, because you don't want roof damage. If you have any questions about insurance, give Alex a call on his cell phone at (678)697-1908. If you have any questions for us about real estate, you can always give us a call or send us an email. We look forward to speaking with you! Why Do We Love Trademark Home Inspection? Hey everyone, today we are excited to be joined by Cal Couch from Trademark Home Inspection. He is here to share with us what he and his company do, and how they can be a trusted ally in the real estate transaction process. Cal is the owner of Trademark Home Inspection, and what they do is inspect homes for prospective buyers in the market who are ready to buy new homes. We love Cal's company because of the experience that they bring to the table. Cal has been in the real estate industry for over 15 years and has done thousands of home inspections. They do an excellent, thorough, and complete job on every one of their inspections. They do home inspections for new construction homes and existing homes, and also offer pre-listing inspections as well. Pre-listing inspections are great if you are trying to sell, because they show to prospective buyers that you were serious and pro-active about any problems in the house, and it eliminates the stress and worry of a home inspection right off the bat. We are all about giving people a stress-free real estate experience, and Cal and his team do a great job of helping us do that. Trademark Home Inspection can be reached by calling their office at 770-614-6534. If you have any other questions, feel free to give us a call or send us an email. We look forward to hearing from you! Today I have Cal Couch with me from Trademark Home Inspection and Trademark Pest Control. We're going to be speaking about things that seem to be popping up again and again in our local market here in Atlanta. One thing that Cal has seen a lot lately that can actually make or break a deal is when sellers aren't cautious about filling out their seller disclosure statement in regard to termites. We recommend that you have your home checked for termites before you put your home on the market. Cal can offer a free pre-inspection on your home. 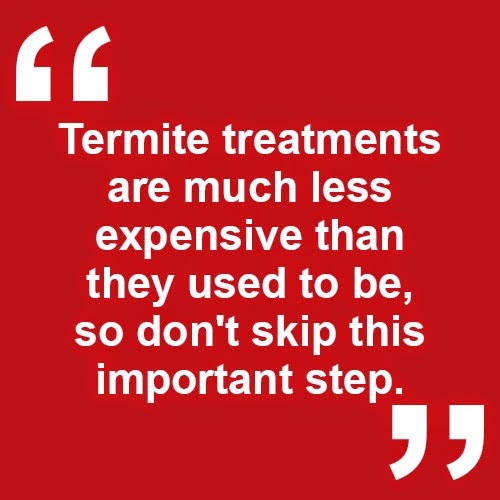 Termite treatments are much less expensive than they used to be, so don't skip this important step. On the home inspection side, a lot of lenders are currently concerned about plumbing and electrical wiring being damaged by birds and rodents. These issues take longer to deal with and are more costly than termite inspections. Another issue we've been dealing with has to do with people's roofs. In the 1990's a product called Atlas Chalet and CertainTeed were put on hundreds of roofs in Atlanta. These products have been damaging roofs and ruining home sales for people across the city, but luckily Cal knows a specialist who's been successful in getting nearly 70% of people's money back who had these defective products in their roof. Ask Cal for the name of this specialist, because he works directly with the company to cover the costs of the defective roofing. As always, if you have any questions about these topics you can contact either Cal or myself. We're always happy to assist you! What's Been Happening in Atlanta Real Estate? 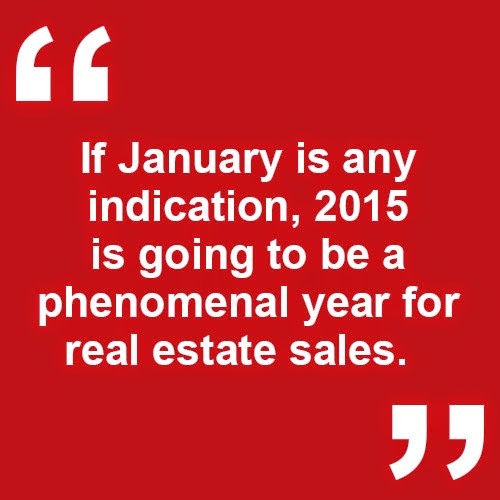 If January is any indication, 2015 is going to be a phenomenal year for real estate sales. Sellers have seen enough appreciation over a few years to sell, and interest rates are phenomenally low. Homes are more affordable than ever. If you have been looking to sell your home, be aware that inventory has risen a bit in the last few months. However, with the appreciation over the last 2 years, you may be surprised at what your home is worth now. For buyers, don't be worried. Low interest rates have kept housing very affordable, and your dollar goes a lot further in today's market with these rates. In addition, there has been great changes in the mortgage industry, with multiple different 3% down payment options now available. If you have any questions for us, please feel free to give us a call or send us an email. We look forward to talking with you soon! Looking to Buy or Sell an Atlanta Home? Want to sell an Atlanta Home? Want to buy your Atlanta Home? Why Hire Homes By Lorie? Lorie Gould can help you with every aspect of buying or selling your home because she is experienced, professional, and most importantly, she cares. Lori Gould understands today's real estate market and the impact it has on you. She invests countless hours into continuing her education to stay on top of the market. Her years of experience helps her guide her clients through successful transactions while preserving their bank accounts. One of her greatest strengths is being both a pricing expert and a Certified Negotiation Expert so that both sellers and buyers keep more money in their wallet. Her goal is to build your wealth through real estate in this turbulent market. There is tremendous opportunity out there in this market for both sellers and buyers. The key is having the right person working for and with you so you can take advantage of those opportunities! Dan - "My expectations were definitely exceeded. She really did a great job of telling me upfront what to expect and how we needed to work through the process. She guided me through everything and we had a quick closure at the price I was looking for. She knew what I needed to accomplish and just stayed on top of everything." Mary - "We had originally discussed one price and then after Lorie got to thinking about it, she strategically raised the price. It ended up being terrific and we went under contract in a week of it being on the market then we closed in less than a month. There’s nothing else I can say, Lorie was great!" Keisha - "She got my home on the market fairly quickly and it sold within the first week of it being on the market. She was just incredibly helpful throughout the whole process and gave me a lot of tips on things I needed to do to prepare the house. She also gave me a lot of information to help me save money on a few things that I could do myself and gave me a list of services, like a cleaning company or a carpet cleaning company that would actually come in and help me. I didn’t have to do any research on my own to find those vendors and it was extremely helpful!" Peggy - "Lorie did a really great job of pulling all the houses for sale and all the houses that sold so we could compare it to my house. After looking at those complete files, I knew that we had the right price. Sure enough we did, in a few weeks we already had some offers. Even after the purchaser ran into some issues, Lorie was able to pull it together and get the deal. She did a great job for me!" Yoo Bin Jin - "I got a home and everything was smooth. I really didn’t have any problems. My work schedule is a little tough because I work 12 hour days so I have to look at houses on my days off and they were able to schedule times that fit in with my schedule. It was all very convenient for me"
Dustin - "They actually sold my home twice because we had a buyer walk out of closing. We were on the market for a total of 8 days and they priced it well, marketed it extremely well, and from top to bottom worked well as a team. Their whole office was phenomenal and always followed up with me and got a lot done for us." Lori -"My house has sold and closed. I think she went above and beyond by sending the potential buyer to a lender instead of their usual bank. That way, the closing got set up early!"